There are not many reasons for an Android phone unable to turn on, it can be your cell phone is just out of power, or the operating system is corrupted, or the power button couldn’t contact the switch that starts the device, but no matter which one is the real cause, it is truly troublesome. It seems that this “won’t turn on” issue is quite common among Android devices, so not only should you get to know the reasons of that issue, but you are also supposed to know what you should do by yourself when you face with this trouble. Next, four methods of dealing with this issue will be given to you as follows. Sometimes you are not able to turn on the device just because its battery has totally run out of power. Thus, you should first charge it with the original charger and charge cable instead of anxiously send it to repair shop. Don’t try to turn it on immediately after plugging it into the wall socket. Wait for about fifteen minutes before powering it on again. If this method doesn’t work, you may try another cable or charger, or you can turn to the second method. From time to time, Android phone won’t turn on because of the fault of operating system – hard freeze. 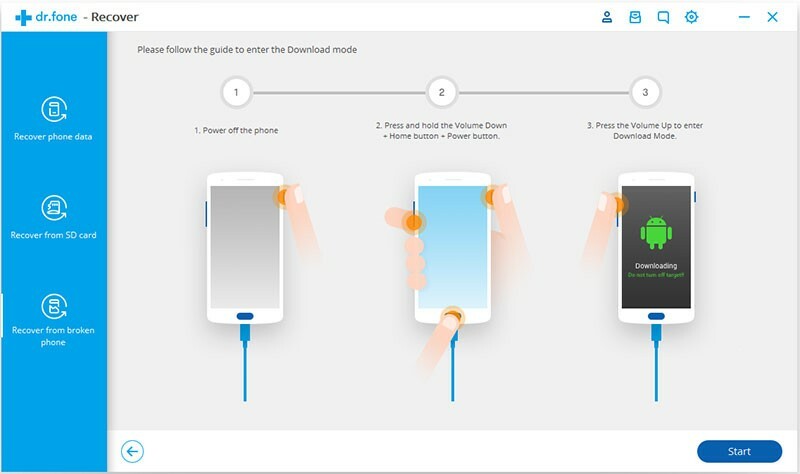 Under this situation, you need to do “hard reset”, also known as “power cycle” to remove this freeze, press and hold the Power button for 10 seconds or so, forcing your Android phone to shut down and reboot again. And perhaps it will bring back to life soon. If this way does not work, go to the third one. 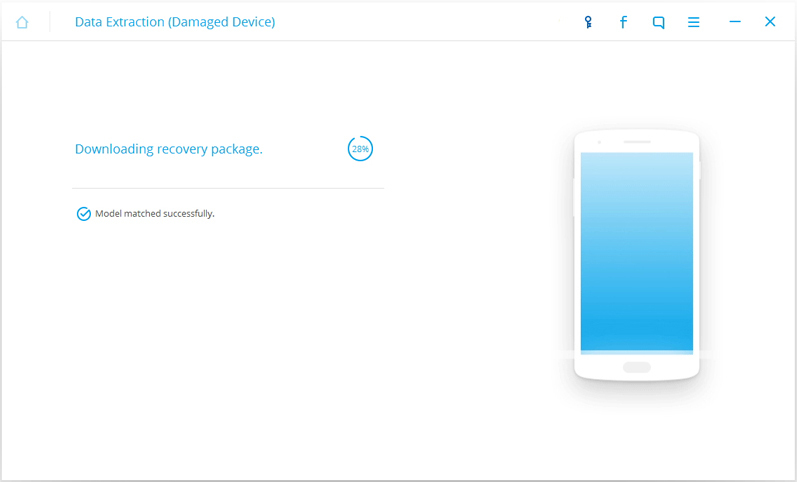 In some case, you’ve flashed a ROM or you attempt to root the phone, but it turns out that your phone won’t boot properly, you certainly should boot it into Recovery Mode and do a factory reset. 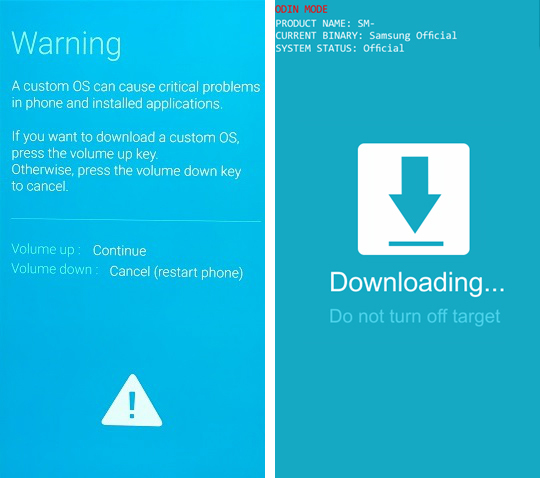 Boot into recovery mode, press and hold the Vol Up + Home + Power button at the same time (e.g. Samsung devices), and then scroll down the main menu, selecting “wipe data/factory reset” and “wipe partition cache”. After that, your Android phone may boot up normally. However, we would to remind you that this operation will delete all of your data, so we would highly emphasize the importance of the following method to retrieve phone data in advance. If the problem is caused by hardware damage or other complicated reasons, it is difficult to fix it by yourself, so you’d better send it to an authorized repair center. However, the repairman may perform a factory reset and it will wipe your data. So before that, we suggest that you retrieve data from your phone via a reliable data recovery toolkit: Android Data Extraction. Note that presently the supported devices are limited, only including Samsung Galaxy and Note series, but there would be more options in the future. 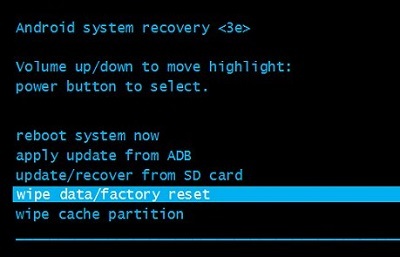 Step 1: Open the software and select “Recover” feature on the left. 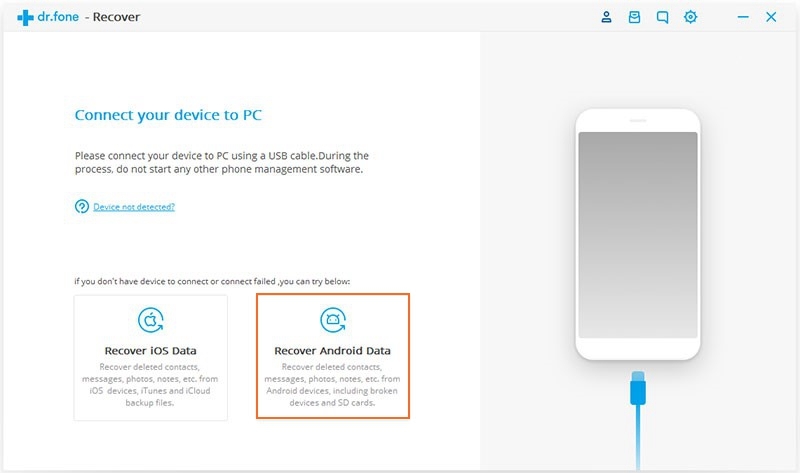 Next click on “Recover Android data” and connect your Android device to a PC via a USB cable. 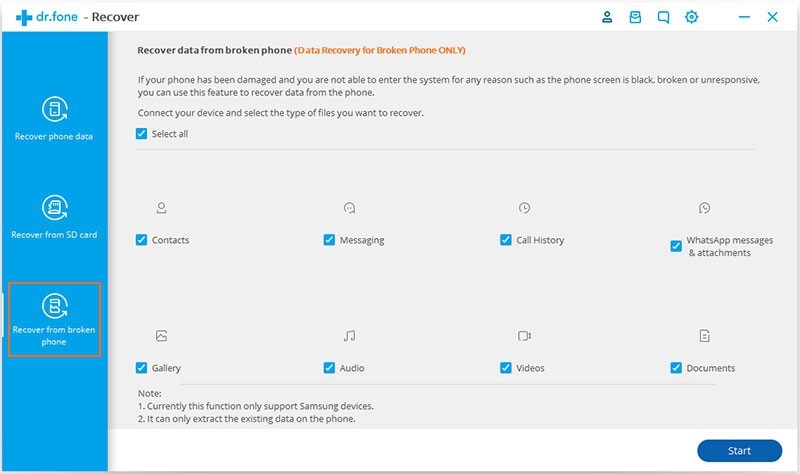 Step 2: Select “Recover from broken phone” from the left window and tick the corresponding box of the file types that you want to recover. By default, all the types are selected by the program, including Contacts, Messaging, Call history, WhatsApp messages & attachments, Gallery, Audio, Videos and Documents. Click on the “Next” button to go on. 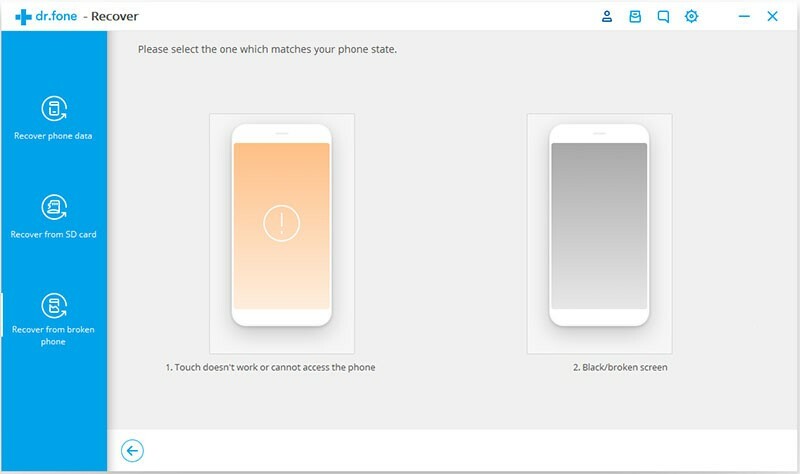 Step 3: From “Touch doesn’t work or cannot access the phone” and “Black/broken screen”, you should choose the former if you can boot your Android device into downloading mode, or choose the latter if the phone’s screen is completely black. 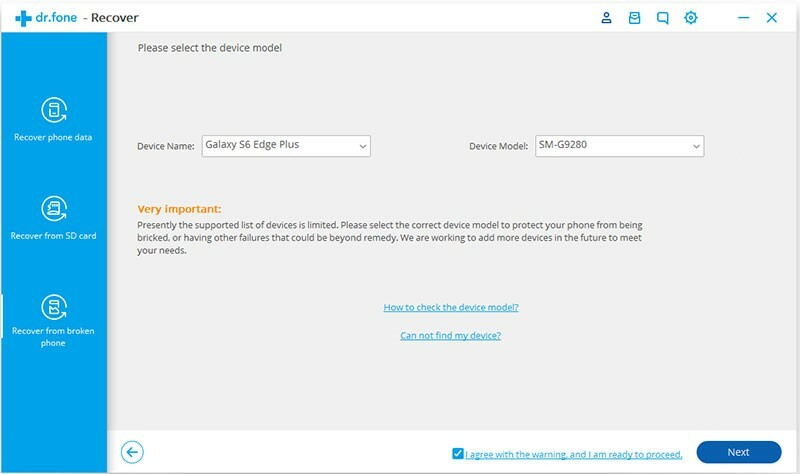 Step 4: Please select the correct name and model of your Android device from the given lists. Click on the “Next” button to continue. 1. Press and hold the Volume Down, Home and Power Down button simultaneously and don’t release the button until your device vibrates, then your phone will boot into download mode. 2.Press the Volume Up to confirm recovery mode. You will see the following screen if your device can display. Next, click on “Start” in the toolkit to move on. Step 6: Once your device is detected by the software, it will be scanned and analyzed for a few minutes. At the same time, the program would download and install a recovery package to prepare for the later retrieval. Step 7: Please wait for the scanning process patiently. 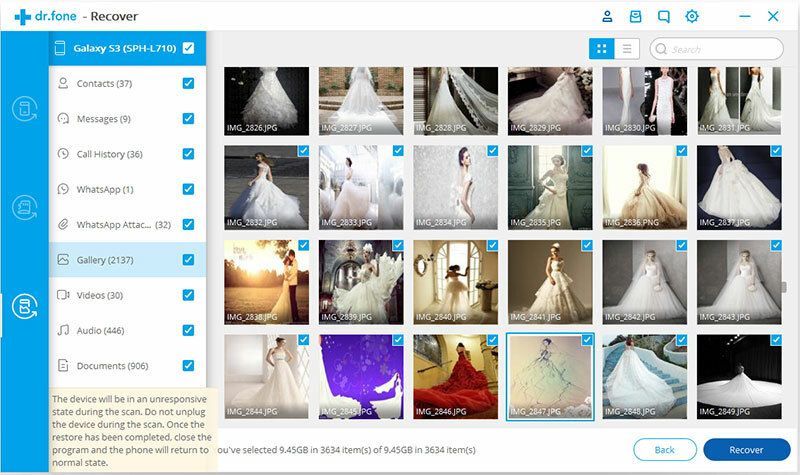 Once it is completed, you will be able to get a list of recoverable files. You can preview and select what you want, then click on “Recover” to save them into your computer. To draw a conclusion, the above methods are emergency responses for Android phone that couldn’t turn on. Once you encounter this kind of question, you should restore those lost data as soon as possible, in order not to lose them for good and ever. Besides, regular Android data backup can effectively prevent your significant files from accidental loss.